Every time I listen to an aspiring jazz musician, I find that for many of them their rhythmic game is not at the same level as the harmonic one. 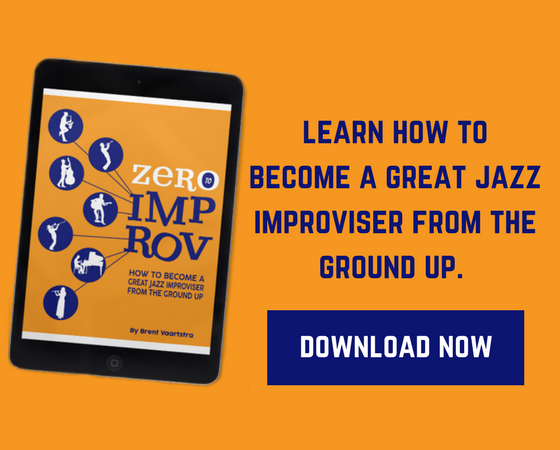 This is because most of the formal jazz education system stresses the harmonic part of improvisation and neglects the rhythmic one. Jazz education tells you to learn your scales, arpeggios, etc. but rarely gives you exercises on rhythmic phrasing, metric modulations, polyrhythms or subdivisions for instance. 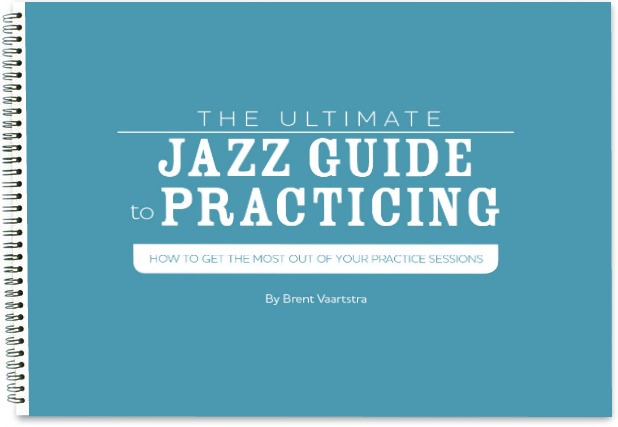 You can go and check out any jazz improvisation textbook, and you’ll see the lack of rhythmic information. In my opinion, what makes a great player is musicianship. And that comes from a thorough understanding of music theory, which is more than just scales and modes but also rhythmic knowledge. They only use one or two rates to improvise. Most of them only improvise with 8th notes and 16th notes. Many players are great doing some runs of 8th notes or triplets, but when you throw a rest in there, and they have to play some off-beat phrasing, everything falls apart. We are sometimes so used to following that we forget about creating tempo. We follow the drummer and blame them for dragging or rushing, but in reality holding the tempo should be a responsibility of the entire band. I am going to share with you some exercises I have found very useful to address these common problems. They were very successful in improving my playing, and I’ve seen them working magic with my students. With this one, we are going to address the rushing/dragging problem. 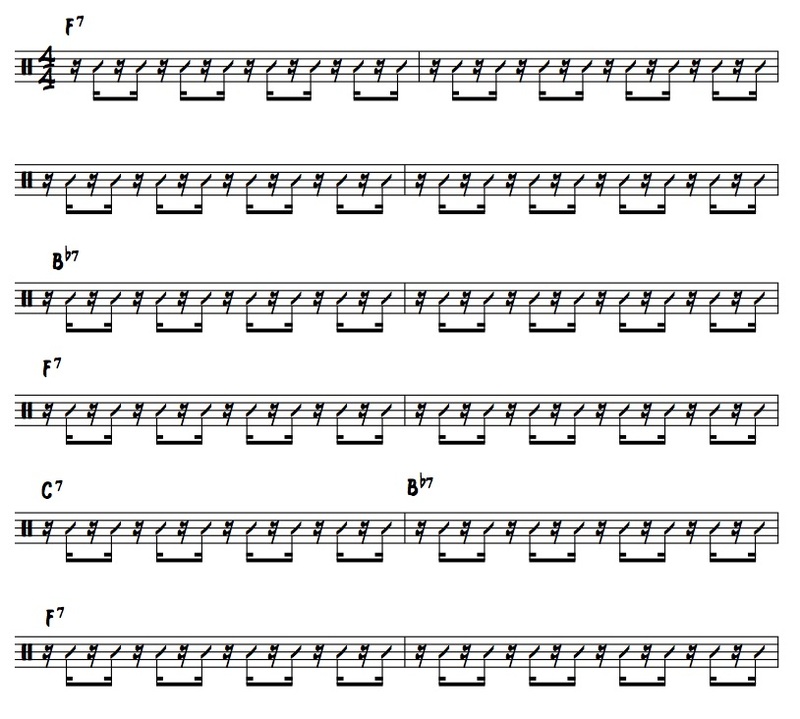 The main idea of this exercise is to be able to create our own sense of tempo and stop being followers. Great musicians can play with solid, steady tempo without the need to following a metronome, drum machine or drummer. If you can’t play solid tempo by yourself, most likely you’re going to be the one making the rest of the band drag and/or rush. Metronomes are great tools. However, if we use it or depend on it too much, we are just learning how to play following a machine or relying on other musicians, instead of creating and developing our own inner tempo. Playing perfectly aligned with a machine doesn’t mean you have a perfect tempo, it just means you learned how to play following a click, a skill that might come handy if you are a studio player or work with electronic music. Nevertheless, jazz music is more organic. When we improvise the drummer is not always going to lay down the groove and tempo for you in the clearest way. We need to develop a good sense of tempo so we can float in with the other musicians and as a unit keep a solid tempo. And that can only be achieved if all the pieces in the band have good inner tempo. So for this exercise, we are going to use the metronome, but only to check how we are doing instead of making it play the tempo for us. The metronome is going to play only one beat per bar. We can start by only having beat 1 played by the metronome. The other three beats are going to be muted. 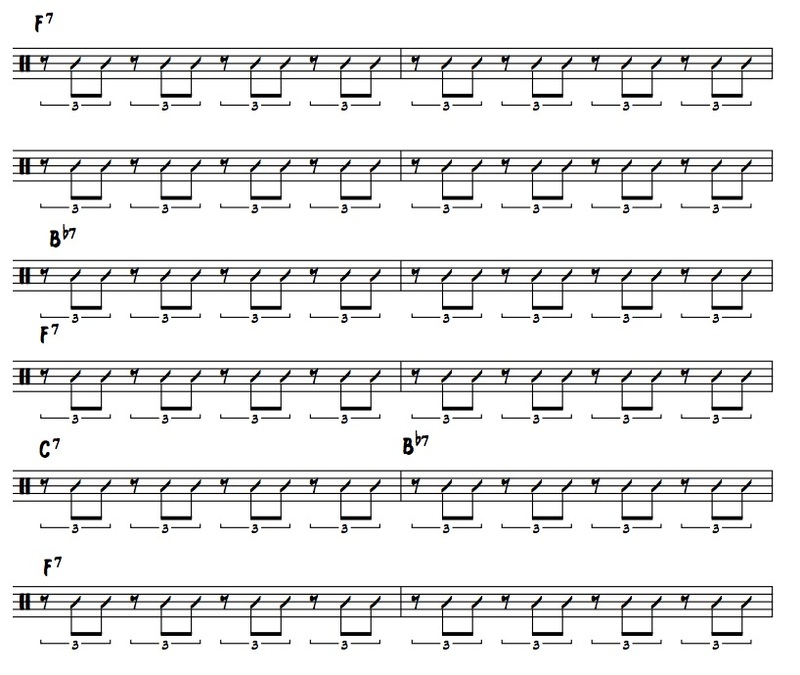 In fast tempos, this might not be challenging, but when you go down to ballad tempos like 50bpm or 60bpm, I’ll tell you, you might consider quitting music altogether. 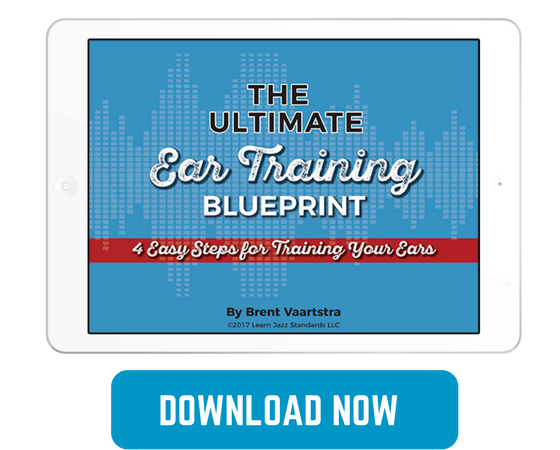 The next step with this exercise is to move that one beat around. Let’s set the metronome to play only beat 4, or beat 2, etc. Once you master the downbeats, let’s work the upbeats, so let’s set the metronome to play the and of 1 for you, or the and of 4. At this point, the exercise gets tricky and challenging, but let me tell you, the results are worth the pain. You can take this to another level, and work on setting the metronome to the 16th note subdivision or 8th triple subdivisions of the beat. This time we are just going to play one beat every two bars. We will start with the beat 1 every two bars and then move it around just like we did in the previous exercise. Same concept, we’ll start with beat one every four bars and then move it around. We can use these concepts to practice anything that we are currently working on. It could be scales, arpeggios, a new tune or anything that you would usually use a metronome for. Apply these concepts instead of making the metronome mark all the beats for you. By using these ideas, you force yourself to create your own tempo because now you don’t have a click on every beat to tell you where the time is. You have to actually feel those beats inside you, and play on and off them. The metronome is there just to tell you once in a while how good you are doing. This exercise was designed to address the other two problems listed above: Poor rhythmic variety and inaccurate subdivisions. To study this exercise, I’ll share with you what I call the bible of Western music subdivisions. 99% of the music on this side of the planet is based either on 8th, 16th notes or 8th notes triplets, so we better master those rates and subdivisions. Make sure you practice and feel comfortable with all the subdivision listed above. First practice them just with your hands, clapping or tapping. Make sure you learn those and make them part of you. Try to combine them and create your own patterns. You can use those to come up with your own licks and phrases. 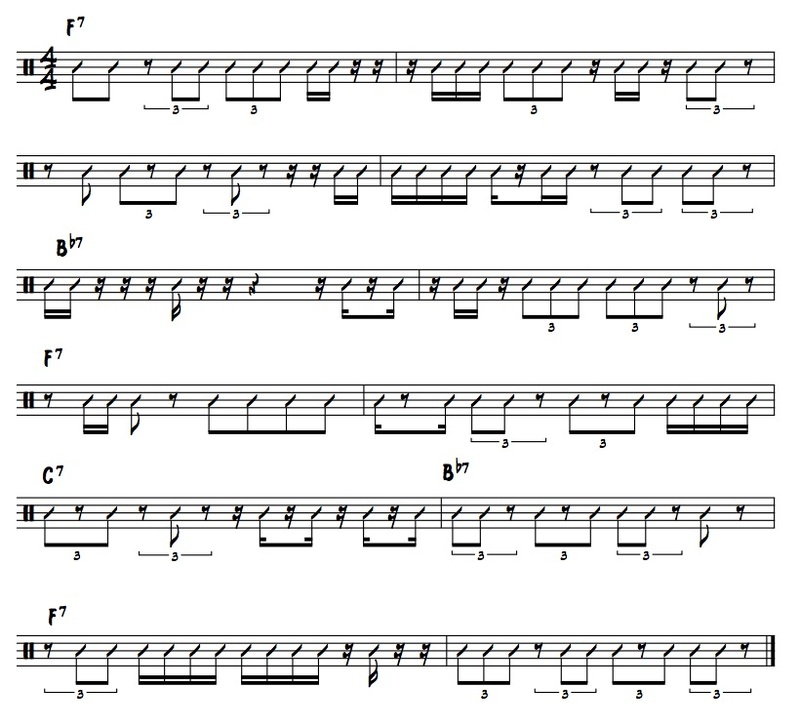 If you get a nice rhythmic pattern, then you can add pitches to make it a melodic phrase with a cool rhythm. Instead of practicing your scales in the regular 8th note subdivision why don’t you do it using some of the 16th note possibilities, triplets, or mix them up. Besides learning licks in all twelve keys, you should learn them in as many subdivision possibilities as you can. You are going to have to modify some licks a bit to make them land with the right note in the right chord, so experiment with it. Mix different rates and subdivision to achieve cool lick variations. You’ll realize how a simple lick can become a really interesting phrase. Choose one subdivision and force yourself to improvise using that subdivision. You can start by playing only rhythmic lines, and then you can add pitches. Then you can mix different subdivisions. At first, this may sound like mechanical and meaningless exercises, but they help to develop concentration and discipline. We want to practice things that make us push our limits so that when we perform, we have some headroom. Discipline is a key ingredient to freedom. It is time to hit the practice room guys, hope these concepts open some door for you. Remember, feel free to contact me through Facebook, Instagram or just leave a message below if you have any doubt or just want to share your thoughts.